There are many options for financing your next real estate purchase. You not only need to select a mortgage lender or broker, but you will need to decide what type of loan and financing is best for you. There are a variety of sources for loans including: conventional, FHA, VA, first time home-buyer programs, special government loans such as rural housing loans, private loans, and seller financing - as well as many others. You should seriously consider a fixed rate if you are planning on living in your new home for many years, and/or if you are not a risk-taker and prefer the stability of knowing how much your payment will be each month. Most fixed rate loans are for 30 years. Once your loan amount and interest rate are calculated and locked in, a fixed rate mortgage will guarantee that you will have the same payment over the life of the loan. Making extra payments to principal will allow you to pay your loan off sooner. If interest rates are low, you’ll come out ahead with interest rates that will stay low no matter how high interest rates go in the future. You can also amortize a fix rate loan for less than 30 years (20 year and 15 year are standard terms). This will make your monthly payment slightly higher, but will help you pay off your loan much faster and reduce the total overall amount you pay in interest. Since an ARM rate rises and falls depending on the current interest rates (usually tied to an index such as Certificate of Deposit index, Treasury or T-Bill rate, Cost of Funds-Indexed Arms or COFi, or LIBOR [London Interbank Offered Rate]), your mortgage payment will rise and fall accordingly. If your income is not sufficient to cover the highest possible payments, then this option is probably not for you. However, the lower initial payments will allow you to qualify for a larger loan than if you choose a fixed-rate. The downside is that your payments will increase if/when the rates go up. You may want to consider an ARM loan when you know you will be selling the property in a short time, or if there is a real likelihood that you can refinance or qualify for a better loan in the near future. There are “caps” on how much your lender can increase your rate, both for a period of one year and for the life of the loan. Plan ahead, and have your lender calculate what the maximum payment would be if your rate went to the highest amount allowed by the cap for your particular mortgage. If you are not confident you’ll be able to pay that amount on a monthly basis, perhaps you should reconsider this type of loan. There are several types of govenment loans. Most of them are conditioned upon either the property and/or the buyer meeting certain qualifications. 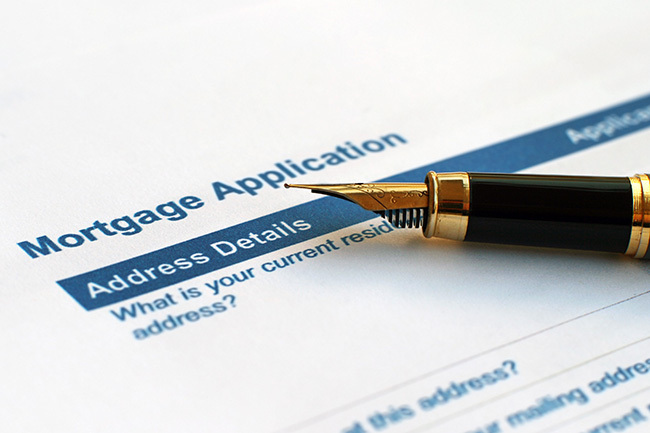 If you meet these qualifications, you may want to consider this type of loan. Usually government loans have a much better interest rate, but often they contain a back-end clause "recapture fee" that requires you pay a certain percentage of the sales price back to the government. Carefully consider all fees and terms associated with special government loans. The Federal Housing Association offers loans to lower-income Americans. Look for the phrase “FHA approved” when looking at ads for homes. Both VA and FHA loans require that the property meet certain requirements, so you need to check with your real estate agent before making an offer on a property.